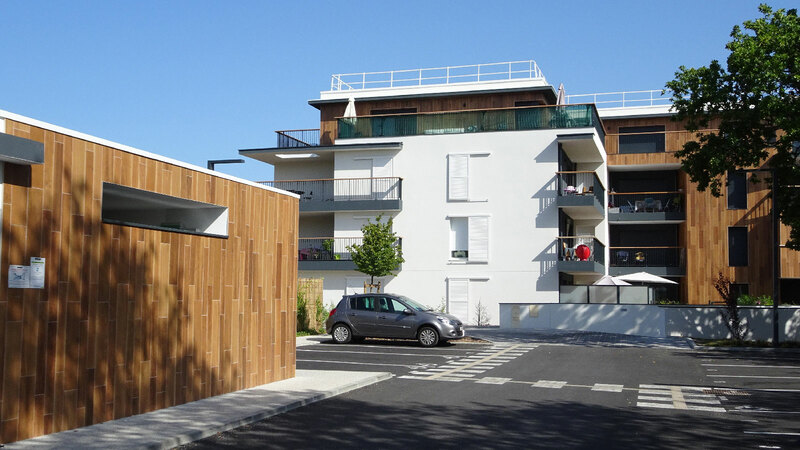 The French property developer has used floor tiles and wall tiles from the eight firms belonging to the Group to its Mérignac and Pessac buildings. 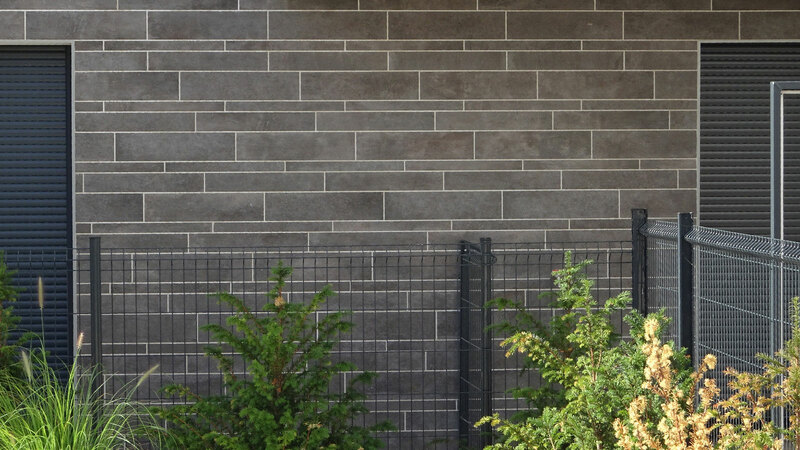 Among the outstanding materials, we have Montreal Nogal by PAR-KERTM or Newport Dark Grey by Venis. 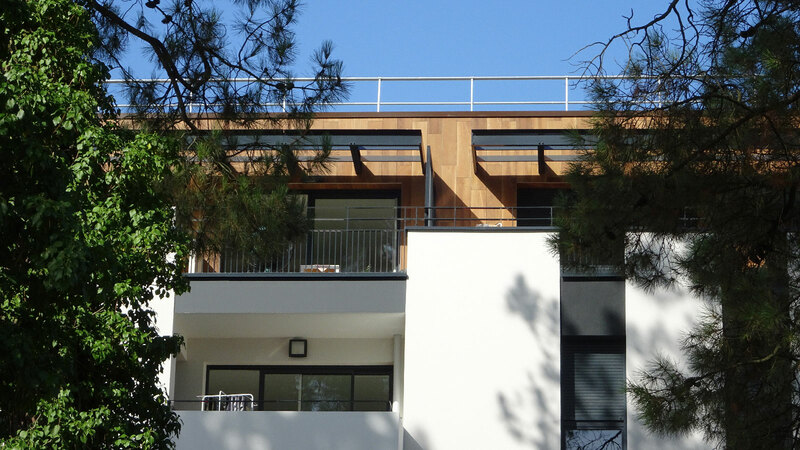 The French real estate group, Pichet Immobilier, has included several materials from the PORCELANOSA Grupo in three of its main residences in Mérignac and Pessac. 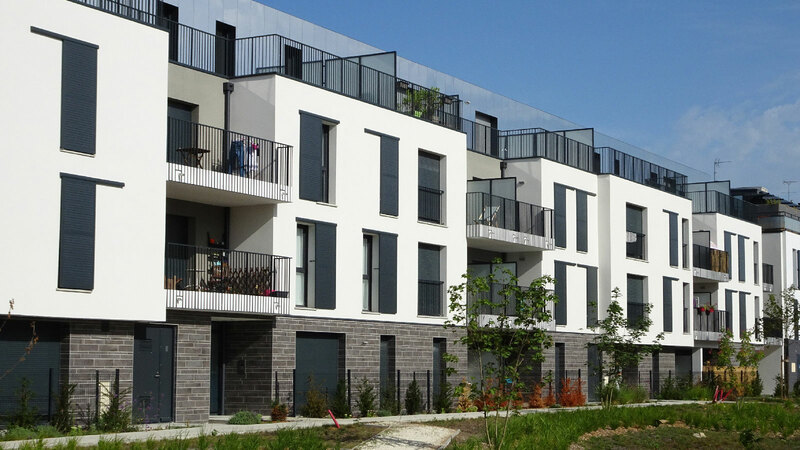 The Porcelanosa PAR-KERTM collection has been used to cover the facades of these buildings. 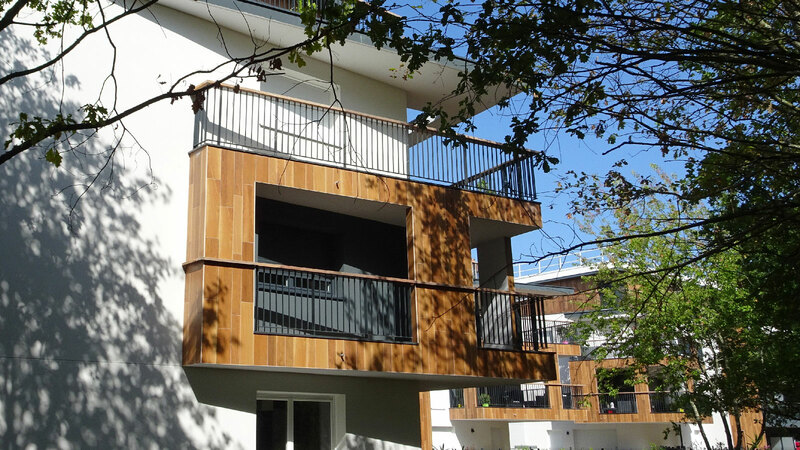 The quality of its finishes and its resistance to inclement weather make it an ideal material for outdoor use. 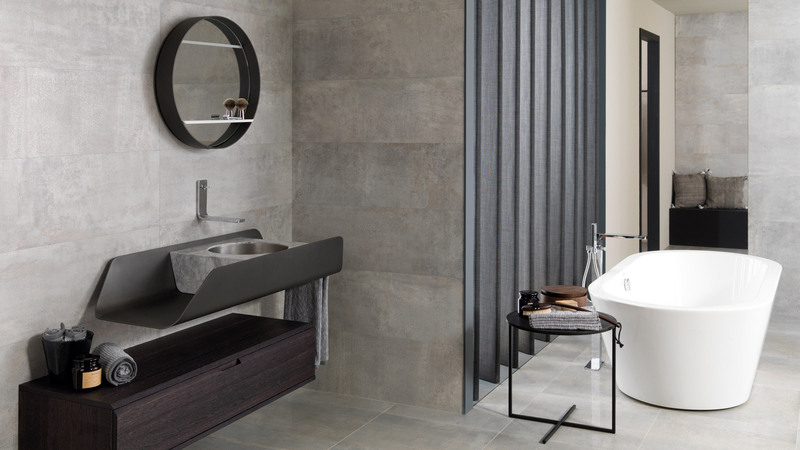 The combination of the grey tones with white pieces enhances the presence of the wall tiles. Especially with the Montreal Nogal collections by PAR-KERTM and Newport by Venis. All the solutions that the PORCELANOSA Grupo companies have provided these projects with are custom-made. Among them, the tiles that were distributed from the factory with the option of changing their height size up to 28mm. 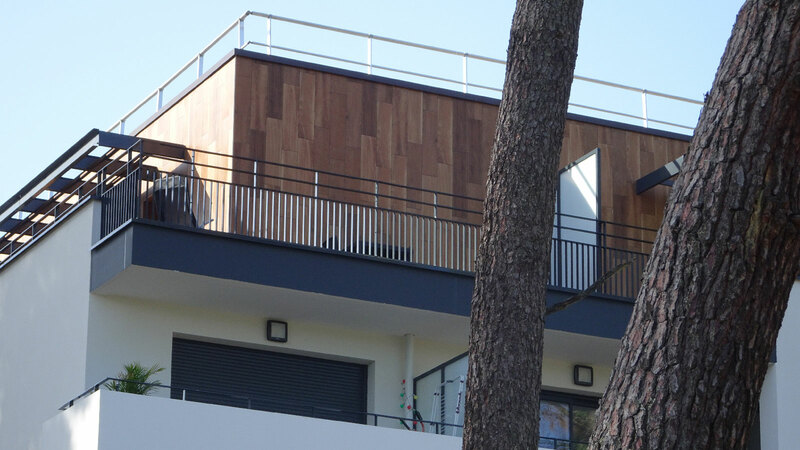 The Wood, stone, concrete, cement and metal effect are some of the finishes used for the event. The first one can be found at the Pichet Bissy residence in Mérignac (Gironde, Bordeaux). The PAR-KER pieces have been put on the high areas of the building, since they withstand humidity without losing any of their qualities. 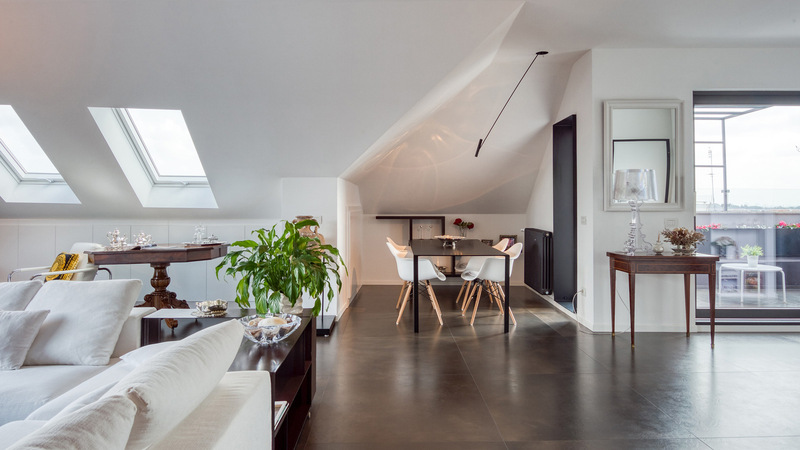 The Pichet Cocteau residence in Mérignac has placed the pieces of Newport Dark Grey by Venis in the: 14.3cmx59.6cm, 9.5cmx59.6cm and 5cmx59.6cm formats. 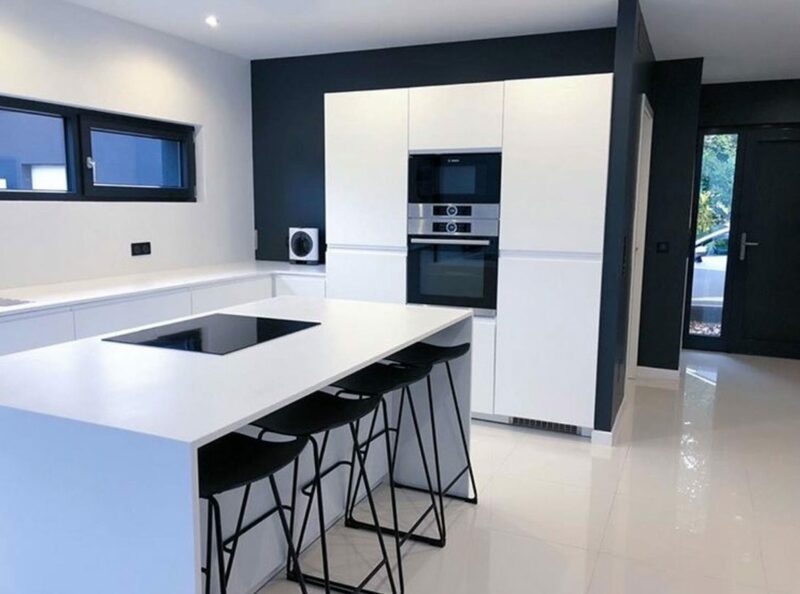 In the town of Pessac, there is the Pichet Infinity, another of the outstanding buildings from Pichet Immobilier, and there, the 14.3cmx90cm and 22cmx90cm Montreal Nogal floor tile have been used. High quality materials that enhance the architectural value of buildings, and furthermore, they allow for a review in accordance with these new times.